The Venue | David and Morgan Are Gettin' Hitched! 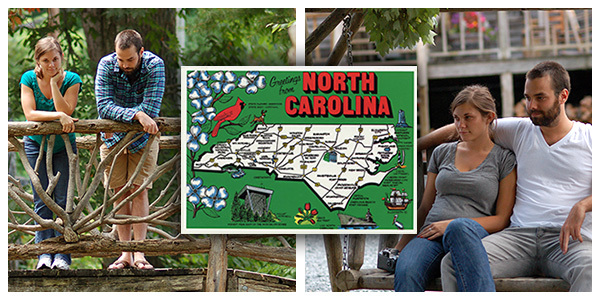 Because North Carolina is so dear to our hearts, we’ve decided to have the big day up there. After some scouring the area around my parent’s cabin, we finally decided on The Lodges at Eagle’s Nest. 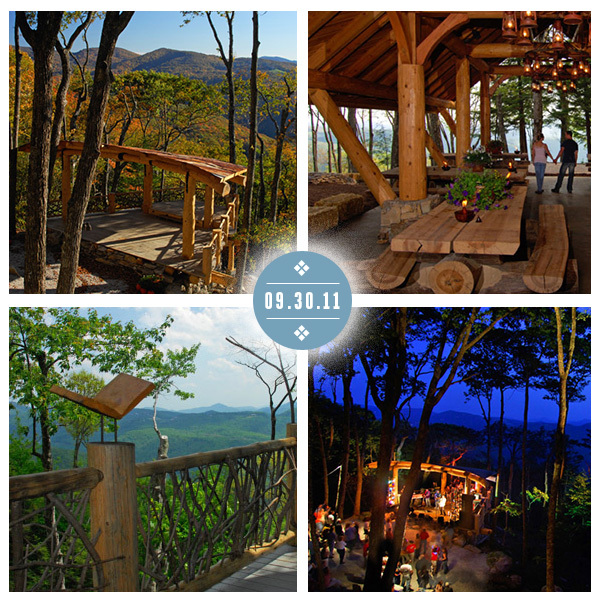 This outdoor venue will be the perfect backdrop for our vows… we can’t wait to be in the midst of all of the natural wonders of the Blue Ridge Mountains. The Lodges at Eagles Nest is a 1,350 acre development with altitudes over 5,000 feet. The property includes a wildlife preserve, waterfalls, trout-filled streams, and miles of pristine mountain trails perfect for hiking, riding, and biking. And best of all (ahem, MichaelClaytor), a frisbee golf course.